My husband and I travel a lot since he joined the military. Whether it’s driving 12 hours to visit home, flying to Arizona for vacation, or planning an international trip to Canada for a friend’s wedding – we’ve done it! I’d like to say that each trip has gone off without a hitch. However, it’s not approved leave unless something goes awry. 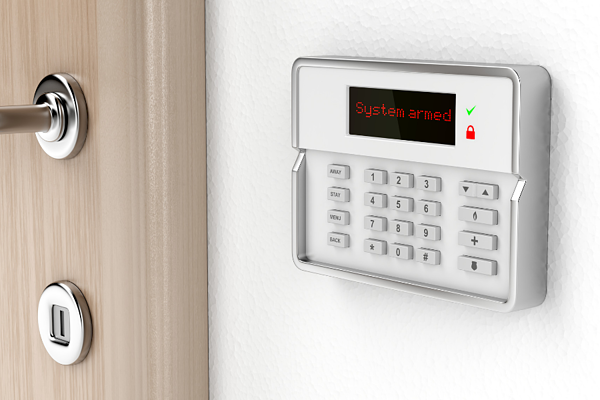 Learn from our mishaps to keep your home safe and have the most fun while traveling. We do a lot more driving rather than flying since joining the Army. Often, leave isn’t approved until the last minute, which makes pressing “purchase” on that plane ticket an anxiety ridden affair. One trip, I was so sure of our leave dates, but we ended up having to change our flights because of my husband’s deployment. After that, we started buying trip insurance on plane tickets. In the future, if we need to cancel or change our flights, we can do so without paying a huge expense. Often, airlines are understanding of military members. 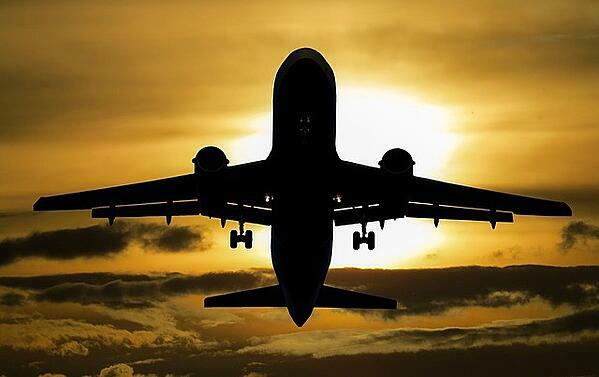 One friend was able to change her flight for free by talking to an airline representative. Make sure your car registration and insurance are in the car and up to date. Even if you’re flying, military installations are often a far drive from the airport. One time, we got in the car to start our drive (thankfully it was a road trip) and realized we didn’t have our car’s registration! We had to make a not so quick detour to the vehicle office to get a new one printed. If it was a normal day, the line wouldn’t have been bad, but the two-hour delay in starting our drive threw our whole travel day off. We try to bring our dog, Sugar, with us as much as possible while traveling. Boarding or house sitters become expensive quickly. Remember to bring water and bowl (we use a collapsible one) for your pets on the road. Stopping to give Sugar a potty break gives us an excuse to stretch our legs and re-energize on long drives. 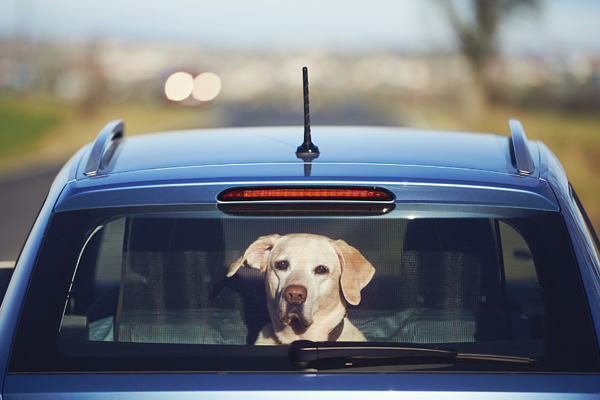 If you have to stay the night on the road, check with hotels along your route in advance to see if they allow dogs. Some hotels allow dogs, but only up to a certain weight, while others that do allow dogs may charge a fee. Finally, make sure your pet is micro-chipped. After two days and twelve hours of driving, I finally arrived at my grandma’s house in Florida. While I was unloading the car, Sugar spotted two people on bicycles. She slipped her collar and took off after them! I ran down the road yelling after her, but the cyclists couldn’t hear me. Thankfully, after about a quarter mile they turned around and helped me get Sugar back. I never want to start vacation THAT way again. When we lived in an apartment, preparing for vacation was easy. We closed our blinds, took out the trash, locked the door and let our apartment manager know we’d be out of town in case anything fishy happened. Now we live in a house, which makes getting ready a little trickier. Luckily, our house has an alarm system that also controls the thermostat. The thermostat automatically sets the temp to our vacation setting when we’re not in the house for a long period of time. On one of our latest trips, the notification alarm went off on our phones as we were driving states away. I frantically texted a neighbor if she could check out our house. She assured me that everything was still in place, and it was probably a false alarm set off by the delivery man thumping the door with a package. Now, we always let a trusted neighbor know when we’re headed out of town. I also recommend a camera doorbell because it gives peace of mind by allowing you to keep an eye on your house when out of town. Now that you learned from my mistakes, you are ready to take a stress-free vacation. 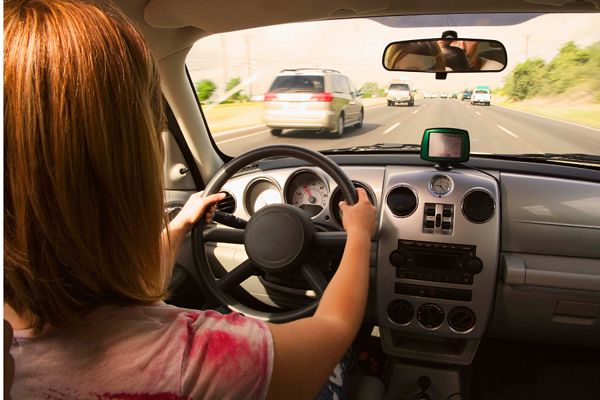 Enjoy traveling while knowing that your home, car, and pets are secure! 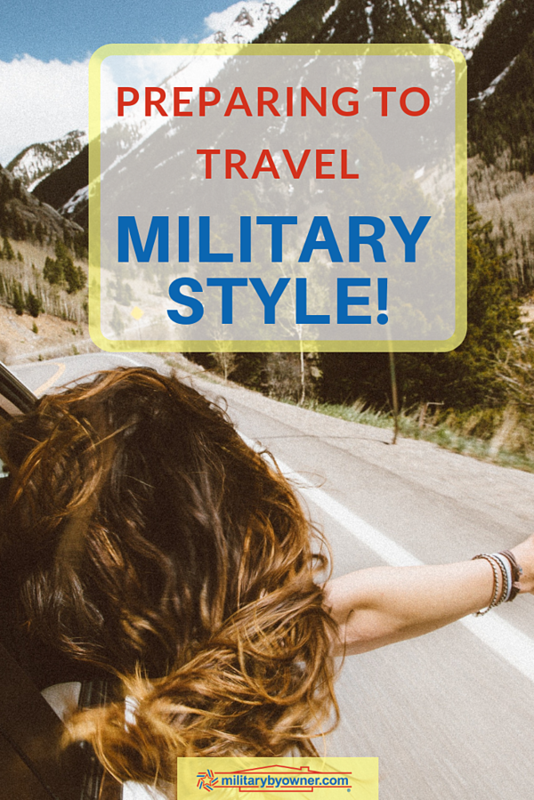 For more tips for your military family's travel, download MilitaryByOwner's free ebook!